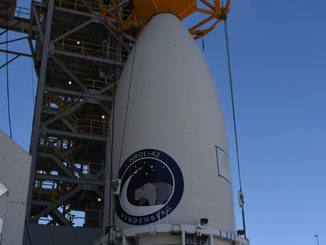 his photo gallery shows the classified National Reconnaissance Office payload, already encapsulated in the 14-foot-diameter nose cone, being lifted atop the United Launch Alliance Atlas-Centaur rocket at Cape Canaveral’s Vertical Integration Facility. 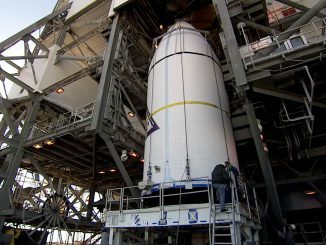 A United Launch Alliance Atlas 5 rocket will boost NASA’s Tracking and Data Relay Satellite-M, or TDRS-M, into space from Cape Canaveral on Aug. 18 at 8:03 a.m. EDT (1203 GMT). 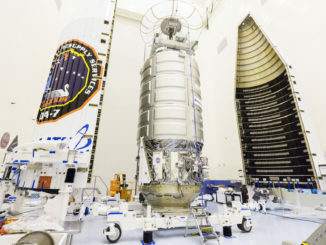 This is video footage documenting stacking activities for the two-stage United Launch Alliance Atlas 5 rocket, standing 194 feet tall, to boost the commercial Orbital ATK Cygnus cargo freighter to the International Space Station. 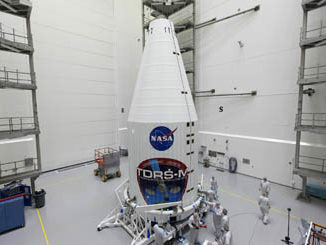 Activities occurred at Cape Canaveral’s Vertical Integration Facility. 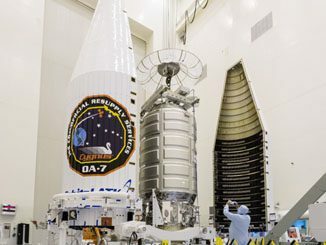 These photographs span activities in March as the news media got an up-close viewing of the Orbital ATK commercial Cygnus cargo ship, its placement aboard a mobile transporter and delivery of the craft to the United Launch Alliance Atlas 5 rocket assembly building for hoisting and mating. 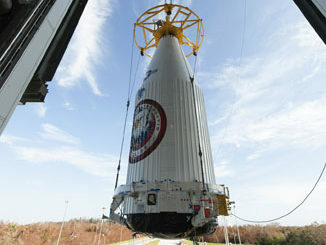 Liftoff is scheduled for April 18. 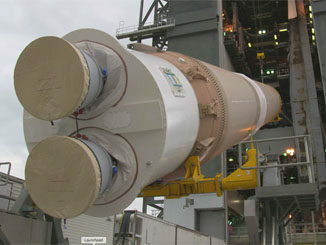 This collection of photographs and videos shows the Wideband Global SATCOM communications satellite No. 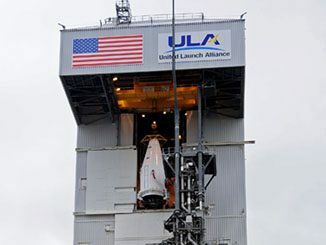 9 being encapsulated in the United Launch Alliance Delta 4 nose cone and hoisted atop the rocket for launch March 17 at 7:44 p.m. EDT (2344 GMT). 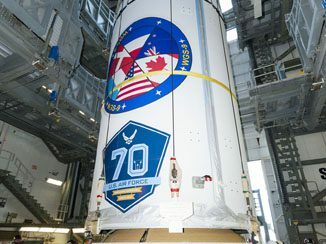 A military communications satellite, built with international funding from Canada, Denmark, the Netherlands, Luxembourg and New Zealand, has been stacked atop a Delta 4 rocket to launch into a worldwide information-relay network operated by the U.S. 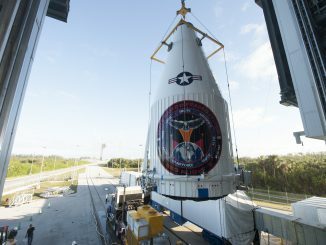 The third Space Base Infrared Systems Geosynchronous Earth Orbit, or SBIRS GEO Flight 3, was hoisted atop the Atlas 5 on Jan.12 to complete the pre-flight assembly of the 189-foot-tall rocket for launch.